Lynn Herbert is originally from NJ. She and her husband moved to Lake Oconee in 2014 after living in London, England for 15 years. Always an animal lover, Lynn grew up with a variety of dogs and cats and loved riding horses. While in England, Lynn volunteered at the Royal Horse Stables assisting handicapped children and adults learn how to ride horses. This encouraged their independence and helped with their balance and dexterity skills while they enjoyed the control that they lacked in everyday life. 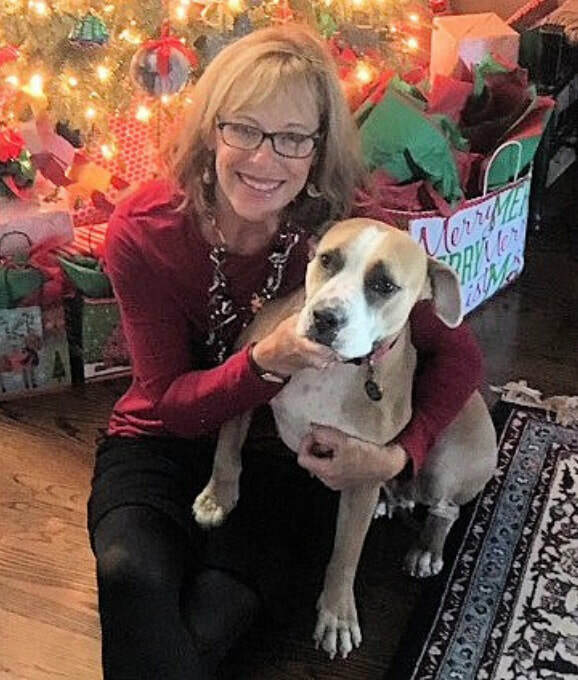 Becoming a volunteer at ORHS in the dog program gave Lynn the purpose she was looking for in “retirement”. With Lynn in the photos is “Annie”, her foster failure, who is now part of her family!